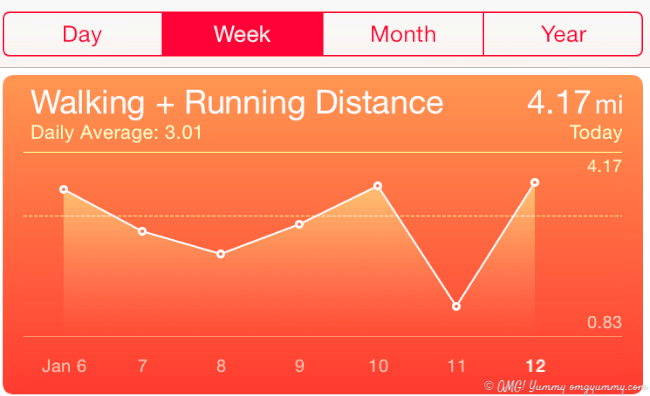 My exercise of choice in 2015? Aerobic Tasting. I’m not talking about pounding down hot dogs to win a prize. 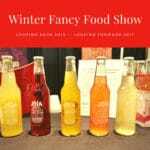 I’m referring to tasting new food and drink creations at the Winter Fancy Food Show while simultaneously walking 4 miles. I’m certain I must have broken even on calorie burn vs intake right? Like last year, I was impressed by so much of what I tasted and sipped. 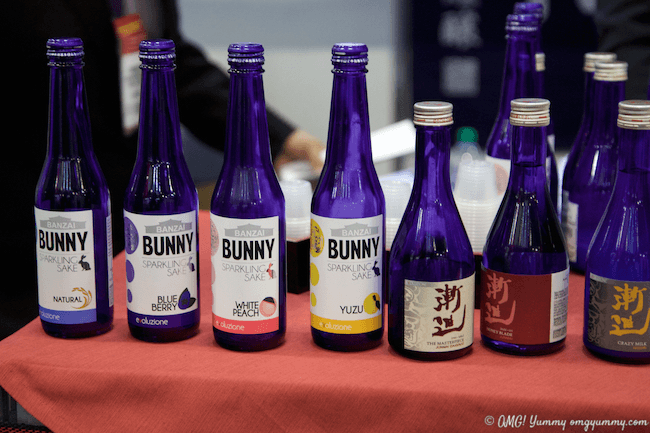 According to the Fancy Food Show trendspotting luminaries, the five top trends at the show were: (their full post is here). Cruciferous vegetables to the forefront – watch out kale – Brussels are gaining on you! Now join me on a virtual walk around the show in my shoes and see what stood out for me and my workout buddy, Gregory Lee. Healthy crunchy snacks still dominated many aisles. 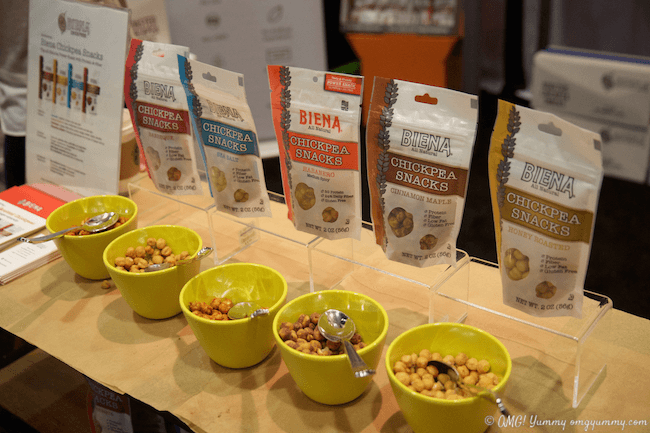 Our first stop was Biena Foods Chickpea snacks. I wrote about chickpea snacks last year but to be honest, I haven’t become a convert. These Biena chickpeas might have won me over – maybe it’s the roasting process or the flavorings or both, but I plan to give crunchy chickpeas another chance. Another one to check out – Zouq Foods’ crunchy lentils. Already off track from our original booth plan, we continued to find hidden treasures worth the diversion. Sosi’s Armenian Yogurt dips were flavorful and would be a welcome addition to your Superbowl spread or your morning lunch-making routine. 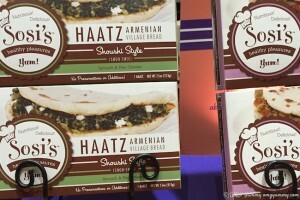 They also have a new line of stuffed Armenian village bread or Haatz (Armenian word for bread) that you’ll find in the frozen section. 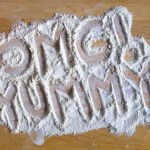 If you read my blog or follow my other social media channels, you know I love to make pancakes from scratch. 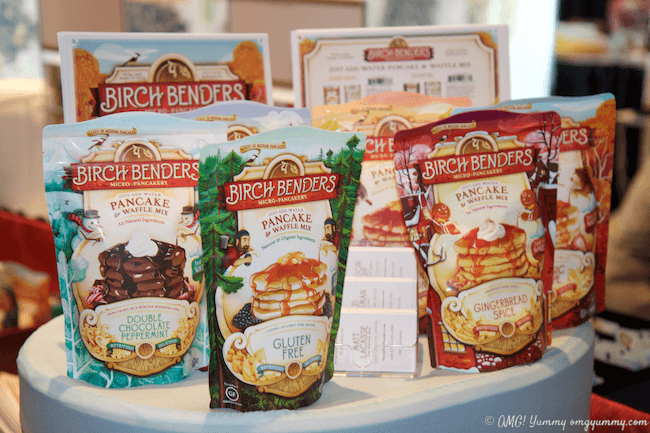 But these Birch Benders pancake mixes are worth a try on a harried morning. Great ingredients from a company who believes that something as simple as a pancake can help save the world. Ok, I am exaggerating a bit but we share the philosophy that spending time at the table eating healthy, comforting foods is a recipe for success. Be sure to read this bit about what their name means – it’s charming. 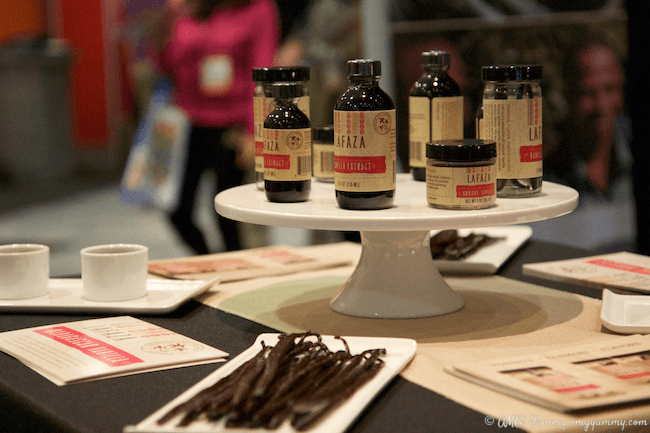 Single origin, fair trade, sustainable – you might expect the next word to be coffee but the show highlighted some other products garnering these descriptors: vanilla beans and maple syrup! I didn’t make it to the Tonewood Maple Products booth but I heard their single origin maple syrup was life changing. As for the vanilla, I wish I had tasted all the purveyors’ products side by side but wasn’t able to visit all of them. LaFaza’s story is impressive with their presence in Madagascar and careful development of a manufacturing process that is sustainable from farm to retail. They are local to my area, based out of Oakland, CA which is even better! They also sell a kit to make your own vanilla extract – remember that for your next gift for the consummate food lover in your life. 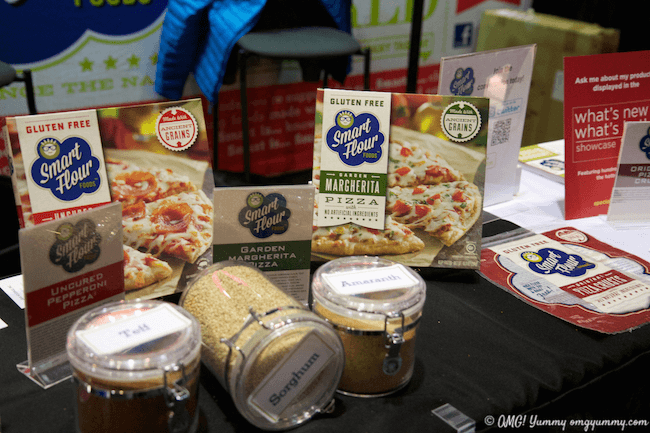 My next standout item is a surprise for me – Smart Flour Gluten Free Frozen Pizza. To be honest, I passed right by the booth but my sidekick made me come back. He said: Taste this pizza – doesn’t matter if it’s gluten free, it’s yummy. They make the crust with ancient grains – sorghum, amaranth, and teff. I’m a fan of ancient grains and am so impressed with the flavor and texture they have created in this frozen pizza. 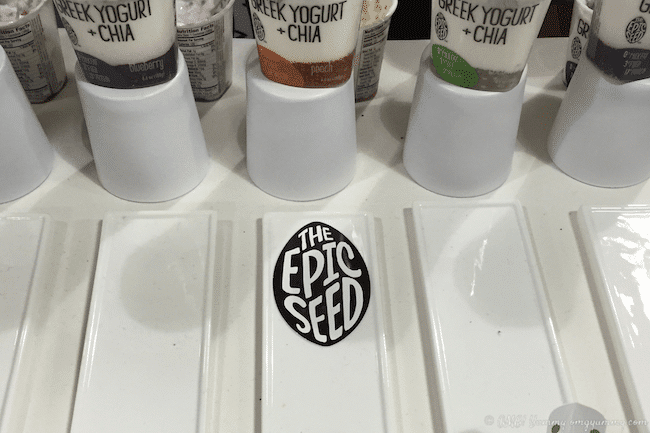 One of my next favorites was a yogurt from a company called The Epic Seed. It’s greek yogurt with the superfood chia seeds mixed in and real fruit. It was creamy, crunchy, and tasted like the fruit flavor you’d expect – not something artificial or overly sweet. It’s available in Sprouts and many other grocery stores – check the website for a retailer near you. 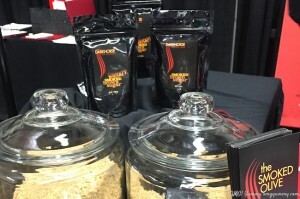 Spices – they are always a prominent figure at the show but there was a new entry to the segment by a food blogger I know from social media channels – The Farm Girl Gourmet aka Heather Scholten, co-founder of Spiceologist. 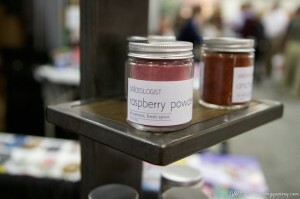 She and Pete Taylor, an executive chef, have developed unique rubs (Think Outside the Grill), pulverized powders (like raspberry powder! ), and now 2oz bottled whole spices just out this January. Great packaging with even better flavors and form factors. Bravo Heather and Pete! 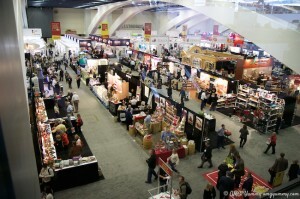 The Savor California area is a big square of small California food producers — I could have spent hours just tasting all their creations. Luckily, I was already familiar with several brands from last year so I searched for new entries. 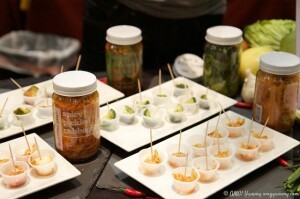 Probiotics and fermented foods were very prominent at the show. 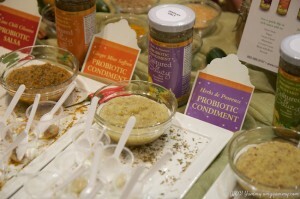 I loved the energy and story behind Cultured and Saucy – a raw, fermented, probiotic condiment. What? Yup – healthy comes in all forms. Mix it with sour cream or yogurt for a quick dip, top your soups and stews, add to your marinades, top your grilled fish and chicken. You get the idea. And right next to them was an ex-techie turned foodie promoting his uniquely simple Korean kimchi that he calls Spicy Pickled Cabbage. Genuine Grub Co. also does the same with radishes and cukes. No added sugar or fish – just crunchy, spicy, pickled veggies. As the clock was ticking quickly to day’s end, Gregory and I were bound and determined to get to the other major hall. 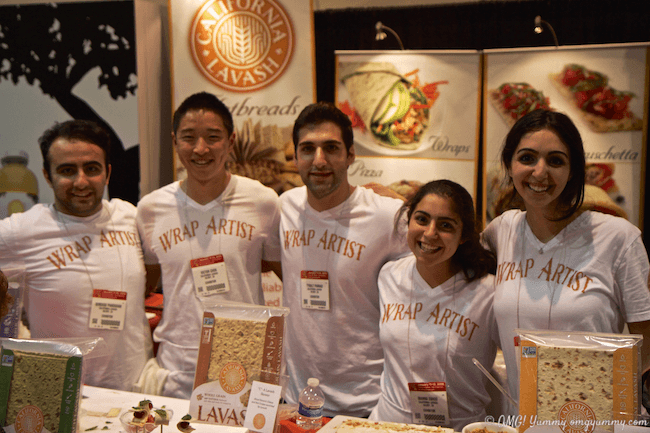 But with the energy radiating from the California Lavash booth, we just had to stop. I’ve written about their lovely lavash before, but their wrap artists had many creative ideas displayed. And who could resist these lovely smiles?? And did you know they offer 4 types of flatbreads? Lavash, naan, noor, and sangak. And one more plus – they are headquartered just a few miles south of my homebase in Gilroy, CA. 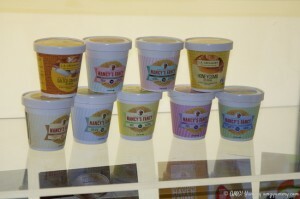 I couldn’t leave the show without tasting Nancy Silverton’s new gourmet ice cream product – Nancy’s Fancy. When I finally found my way to her small booth, guess who was there? Nancy! Not just PR people or assistants, but Nancy in the flesh. I tasted her chunky salted peanut butter w crunchy chocolate ice cream – it was creamy, crispy, light, full of flavor with that wonderful sweet and salty tang. I’m not sure I’d pay 10.99 a pint, as this LA Times article indicates it will sell for, but having eaten in Restaurant Mozza which she co-owns with Mario Batali and Joe Bastianich, I know her standards of flavor and quality are impeccable. Surely it would be worth a splurge every now and then. 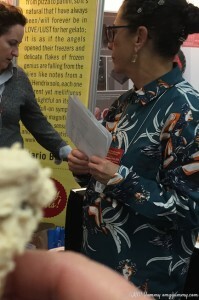 While eating her tiny tasty ice cream cone, I asked Nancy what her favorite find at the show was and she pointed me to The Smoked Olive. Originally known for their smoked olive oil, they now have 3 smoked brown sugars – Nancy loved the whiskey smoked brown sugar and thought it was exactly what Mozza needed for a new dessert recipe at the restaurant. The Smoked Olive has a patent-pending method for smoking the olive oil that doesn’t affect the quality of the original oil and now they have applied it to brown sugars as well. 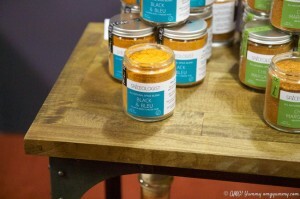 Think rubs for your ribs or salty smoky caramel for your ice cream. 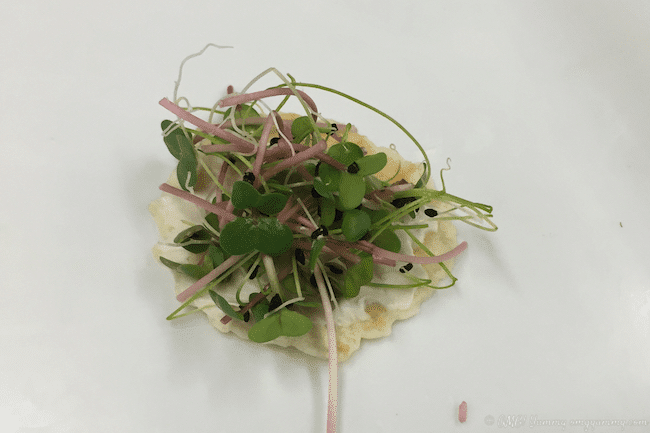 On my way to Nancy’s Fancy booth, I stopped at the Salad Cosmo booth where they were serving micro greens on crackers with a cream cheese spread. 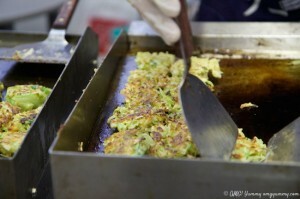 They mixed several greens – something chive-like, radish like and I can’t recall what else. So much flavor in what they call their Nano greens – read more about them here. 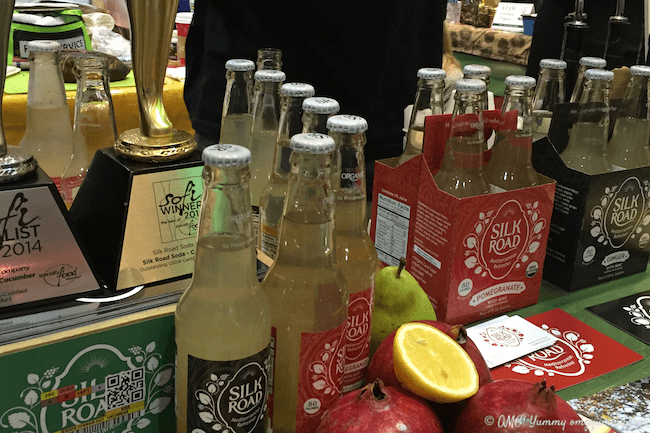 Silk Road Soda was back in the Savor California area with a new flavor – ginger mint. If you haven’t yet tried their adult sodas, don’t wait. Their new entry Ginger Mint would make a great Moscow Mule – just sayin …. 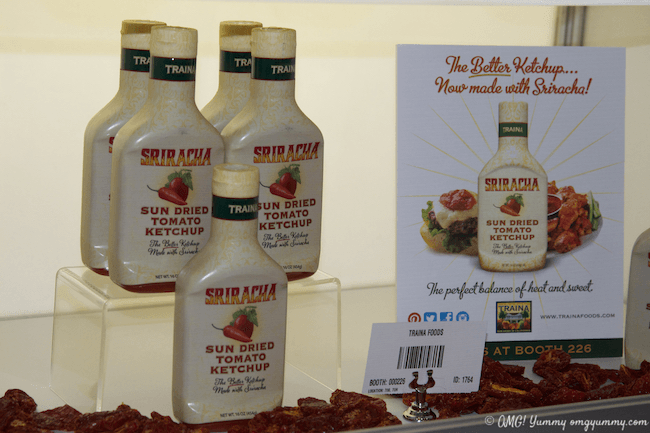 Traina Foods was back with a sriracha spiked version of their sundried tomato ketchup and they’ve stopped using high fructose corn syrup! The ketchup/condiment area is exploding with high-end variations on the basic tomato ketchup idea – Not Ketchup, Blackberry Patch, Victoria Amory, and Stonewall Kitchen to name a few. I am a huge fan of dairy products made with goat and sheep’s milk because of my family’s lactose intolerance. 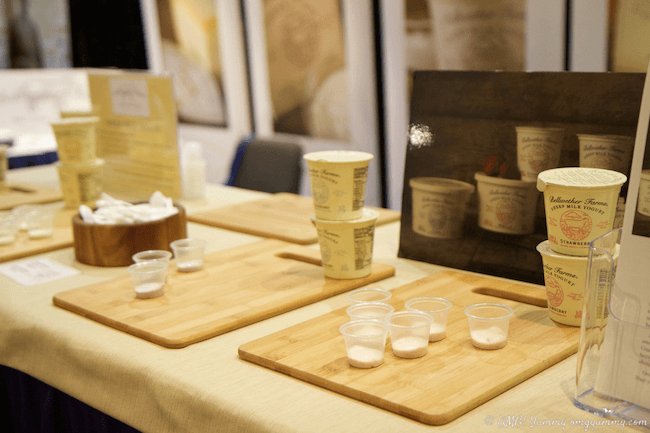 Bellwether Farms put their sheep’s milk yogurt front and center in their display. 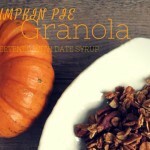 It was silky, creamy, and tangy – a great alternative to any cow’s milk yogurt product. For the color alone, I had to stop at this booth but OMG! – the flavor of this cactus fruit known as pitaya or dragon fruit is just perfect in a smoothie. The company is PitayaPlus. They source the raspberry colored dragon fruit from Nicaragua, supporting the infrastructure, economy, and fair trade of this Central American country. 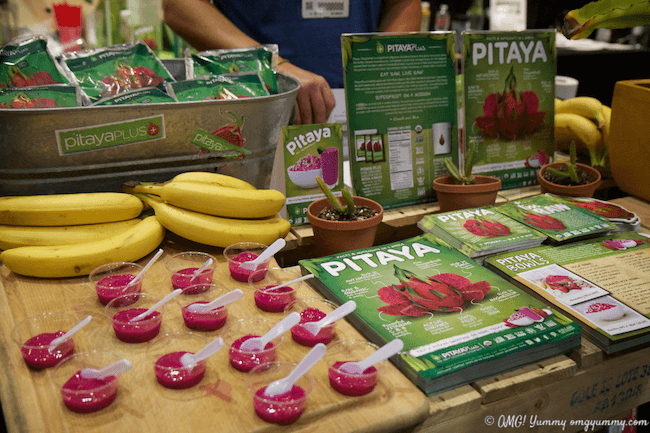 You can also learn more about pitaya at Frieda’s, where the motto is “Fear no Fruit”. I’ll conclude with our sprint through the Japanese area where we tasted sparkling flavored sakes from Banzai Beverage – yes please. 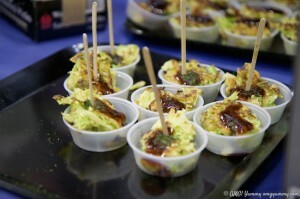 And one of our favorite bites of the day – okonomiyaki – Japanese savory pancakes topped with Otafuku’s date-sweetened sauces. 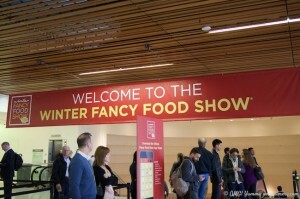 A blast of umami to end our tasty aerobic journey through the sprawling Moscone Center. I want to attend this. I loved your tour, but I must experience it in person!!! You’re welcome. Love what you are doing and glad to hear it’s going well! Still thinking about how we can work together through the Tasting Jerusalem cooking community. This month’s featured ingredient is turmeric. Stop by and give us a teach on how you use it! My legs hurt for you but you conquered the day, beautifully! Of course, I would have been changing outfits and wigs to get a few more tastes of Nancy’s ice cream! Great summary of a very busy, hectic, wonderful day. How lucky you were to spend it with your son! Love the idea of disguises! Hadn’t thought of that but actually I think they would have obliged more tastes if we weren’t racing around trying to visit so many booths in the last half hour! We were both passing out exhausted on the train home but it was totally worth it! Thanks for stopping by Betsy! Brussels Sprouts, Vanilla, bacon all day, tumeric, I’m on board with all but I think I’ll pass on the cheese infused olive oil. Tthat the Sriracha Ketchup is something my younger son would absolutely love. Thanks for the tour minus the walk. I know right? Cheesy olive oil – NOT. 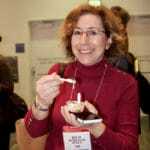 But so many great things – it was definitely inspiring! Thanks for coming by Karen! Sorry about the SuperBowl – but I must confess, I was rooting for the Patriots! What a game! Vanilla salt sounds very intriguing! It is such a fun show to explore – some day, you and I will do it together! I’d love to eat our way through this show with you, Beth! And now, I need to go find lunch. Your post makes me hungry. Thank you for thinking of us while you’re at the Show! You’re welcome! Thanks for stopping by to say hi! One of these times I’m going to make it to the show! The vanilla trend sounds so intriguing, especially in savory applications. Oh Deb – next year – let’s make it a date. You drive to my house which is about halfway for you and I’ll get us the rest of the way there. Deal? You always keep me motivated Gretchen – thank you. I was just saying to Linda, that it might be a fun field trip! It really is so inspiring to see what companies are creating. 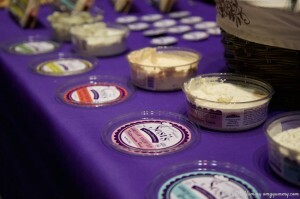 Those micro/nano greens were so good – real food really is the best! Makes me hungry just reading about all these wonderful foods. 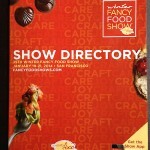 It’s a great field trip – so much fun to see what the small producers are creating.